It seems gamers are still hungry for zombies: more than a million players swarmed into State of Decay 2 since the game’s May 18 early access launch and wide release May 22. That’s good news for Microsoft, who hasn’t had much in the way of exclusives to offer on the Xbox One lately. The company shared some additional week one stats: players have streamed 3.5 million hours of gameplay in 41,000 unique broadcasts, and have already killed 675 million zombies. Less impressive? Players seem to survive for an average of three in-game days, although some have lasted a full month. When it comes to bashing the undead, you’re spoiled for choice. Here are the best zombie games on PC. In his State of Decay 2 review, Harry found it to be a refinement on the original, although bugs often get in the way of the fun. 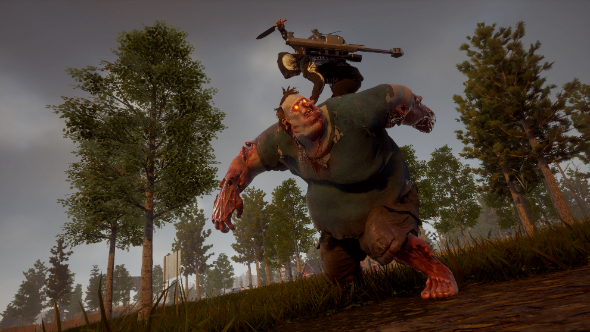 However, State of Decay 2’s lower price point and Windows 10/Xbox One cross-play and one-time purchase features might help players forgive some of the jankiness. If you’re just getting going with the game, we have someState of Decay 2 tips that might help make your initial few days a bit smoother. Speaking of which, Microsoft says it’sworking with developer Undead Labs to address the bugs players have encountered, so expect patches in the near future.